Learn how to capture and debug USB 3.0 traffic in 90 seconds with the Beagle USB 5000 analyzer! Watch this short video demonstration on how to capture and analyze CAN traffic with the Komodo interface and Data Center Software! 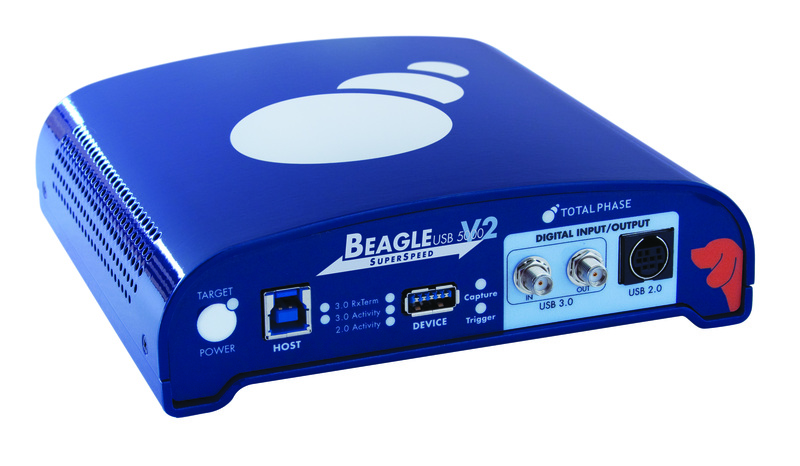 The all new Beagle USB 5000 v2 USB 2.0 Protocol Analyzer is now available at a low introductory price. With standard features that include advanced triggering for USB 2.0, real-time capture, display, filter and search, this powerhouse will sniff out your USB bugs. Email, call for a quote, or pre-order now, to claim your additional 10% discount before August 31st. 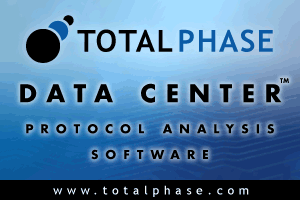 Please contact us at sales@totalphase.com or call us at (408) 850-6501. For more information, please visit our website. Total Phase was featured prominently at the recent Microchip MASTERs held in Phoenix, Arizona during the first week of August. Our Beagle USB 480 Protocol Analyzer was used in the USB Human Interface Device Class sessions, and we had a full demonstration suite to highlight our USB, CAN, SPI, and I2C portfolio. The class sessions were packed and many engineers stopped by to ask questions of our own Tabitha Miller (pictured right), sales representative and partner specialist, who also played a role presenting in the class. Tabitha joined Total Phase in 2010 upon graduating from UC Berkeley in just 3 years with honors. In two years with Total Phase she has developed a technical training program for customers that covers a range of products from third party semi-conductor partners, been a top performing sales representative, and consistently receives customer accolades for her energetic class presentations. Update from Freescale Technology Forum! Total Phase participated at the Freescale Technology Forum in San Antonio, Texas in June. We hosted two hands-on labs that allowed attendees to debug USB, SPI, and I2C traffic in a real life situation while using Total Phase tools such as the Beagle USB 480 Protocol Analyzer and Aardvark I2C/SPI Host Adapter. It was one of the most popular classes at FTF, with nearly 100 attendees between the two class sessions. We really enjoyed meeting everyone that attended our classes and visited our booth in the Technology Lab. You can see a video demonstration from our booth here! The demonstration was based on the set up and design used in the hands-on lab presentation. Overall, it was a fantastic show where we got to meet a lot of current and future customers. Total Phase also presented at the Freescale Technology Forum in Beijing, China in August. What are your USB Needs? 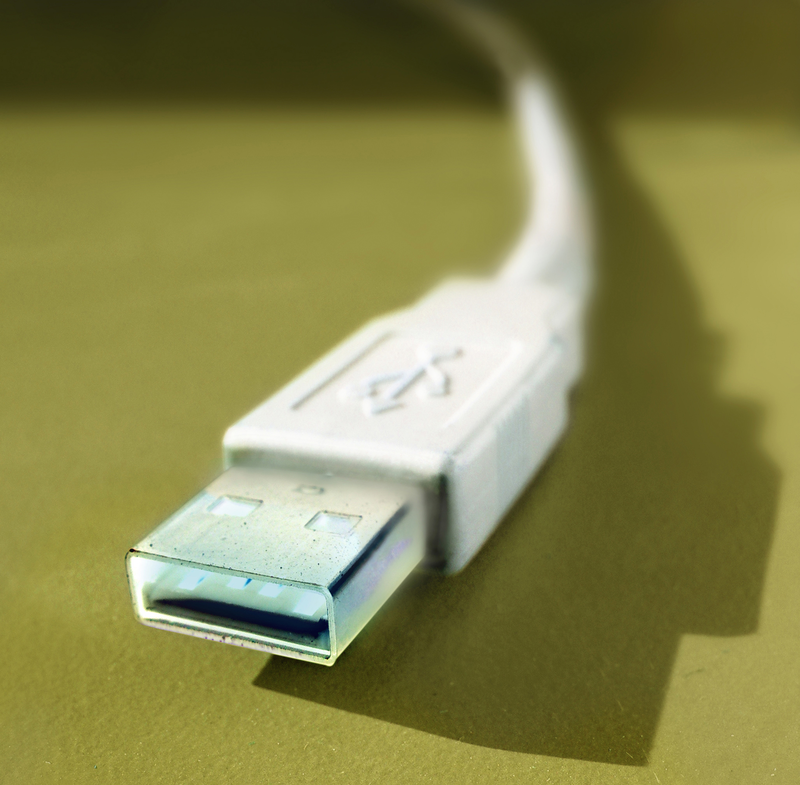 USB 3.0 is on the rise. Many types of consumer technology have already been integrated with USB 3.0, including laptops, mass storage devices, and more. As a provider of industry-recognized USB protocol analysis tools, Total Phase has noticed several consistent trends among our many thousands of USB customers. What are some of the needs of USB developers today? Total Phase's own Derek Fung shares his thoughts in this year's Engineers' Guide to USB Technologies. Read more here! Come visit Total Phase at the Intel Developer Forum in San Francisco or the Embedded Systems Conference in Boston! At the Intel Developer Forum, Total Phase will be featuring the Beagle USB 5000 SuperSpeed Protocol Analyzer, winner of the 2012 Best in Test Award, at the SuperSpeed USB Community. At the Embedded Systems Conference at Booth 421, Total Phase will demonstrate its entire suite of USB, I2C, SPI and CAN tools. Visit Total Phase at either tradeshow to receive a special on-site discount for all online orders. Total Phase will also be participating at the USB-IF Compliance Workshop in Portland, OR. If you would like to schedule a testing appointment with us there, please contact USB-IF at admin@usb.org. Download the Latest Software Updates! Download the latest updates to your Total Phase software. We use the Aardvark I2C/SPI Host Adapter for I2C communication to develop automated digital microfluidic platforms. With the Aardvark adapter, this paved the revolutionary method of blood sampling in our devices. This automated system allowed us to process samples faster with higher accuracy and less risk of errors, all the while freeing up time for our technologists to perform other work. We truly thank you Total Phase! You have made our lives in the Wheeler lab much simpler! © 2012 Total Phase, Inc. All rights reserved.